With the implementation of the National Fire Plan and The Healthy Forests Restoration Act there is an increased awareness of the need to remove or modify wildland fuels and to restore healthy forests and rangelands. We are able to provide these services by mechanical fuel treatments with both the Spyder Hoe and our tracked excavators. An added benefit of the Spyder Hoe is the machines ability to operate on slopes up to 90%. Making productive use of otherwise unusable ground. 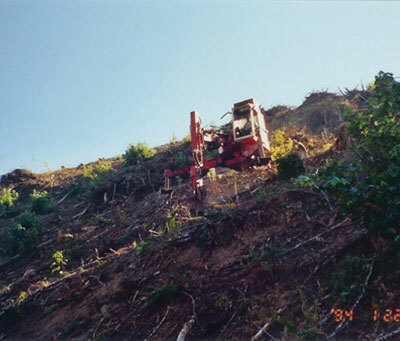 Fuels reduction services are provided by slash piling and mechanical brush cutting attachments.